Originally from Yankton, SD, Dr. Johnson was very active in athletics growing up. After graduating from Yankton High School in 2006, his athletic career led him to the University of Nebraska-Lincoln, where he accepted a scholarship to wrestle. 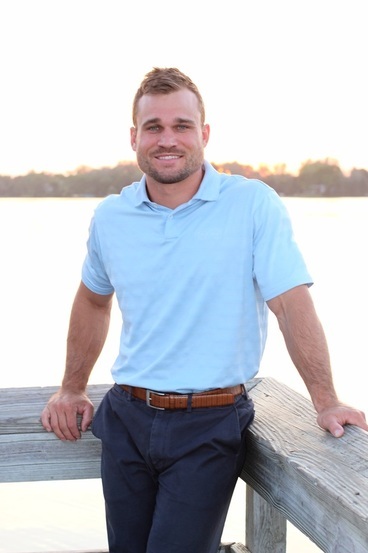 During his time there he majored in Nutrition, Exercise and Health Sciences and graduated with a Bachelor of Science degree in Education and Human Sciences. He continued his chiropractic studies at Northwestern Health Sciences University in Bloomington, MN where he received his Doctorate of Chiropractic degree. His inspiration for the benefits of chiropractic care began when he witnessed his parents’ recovery from a car accident and was reinforced when he experienced the advantages first-hand. As a high school and college athlete, he relied on chiropractic care to get the most out of his body and to perform at his best throughout the long, grueling season. In addition, his Nutrition major allowed him to understand the importance of how putting the proper nutrients into your body can allow you to reach the highest quality of life. In his free time he enjoys staying active by working out, golfing, hunting, fishing and spending time with his family and friends. Dr. Johnson feels blessed to live in an area with such wonderful people and an abundance of outdoors opportunities. Being able to influence the lives of other people for the better is extremely rewarding to him and it’s why he loves what he does.